Are you weary of inaccurate credit information provided by others? Tired of trying to decipher what a credit score really means? Receive the exact information you require, in plain, easy to understand English. Every organization is unique and many factors go into creating an accurate representation of whether or not an organization will pay you on time. The issue with the existing credit bureau, is they rely strictly on the trade information they are provided. We take a new approach. If we deem the organization has enough trade information in the credit bureaus we can provide you with an off the shelf report. If the organization does not have enough information, we can provide you with a full investigation and explain to you in plain English how to proceed. Need a report quick? 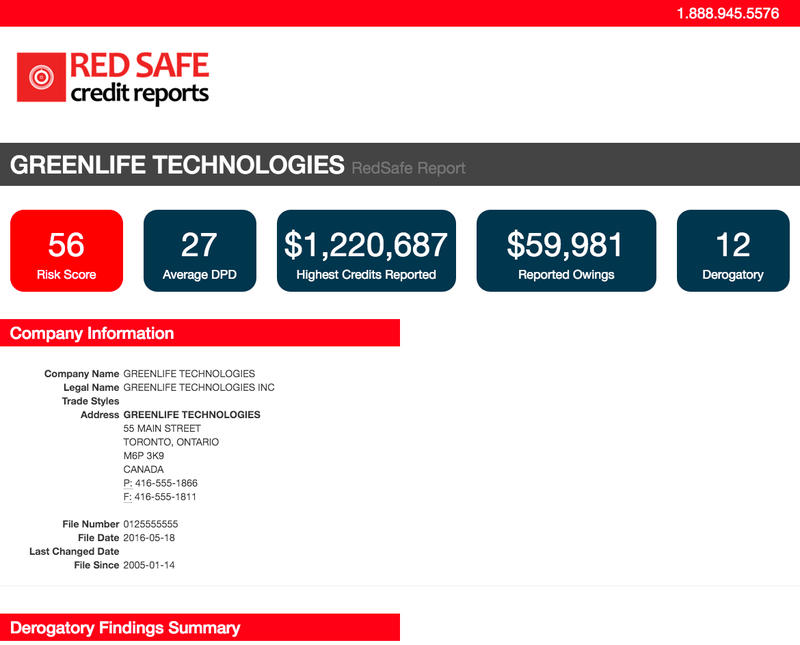 Our RedSafe Reports include a full legal search, on file credit references, a full company profile, collection filings, and other inquires on the file. We collect information from some of the leading credit bureaus as well as collection agencies. 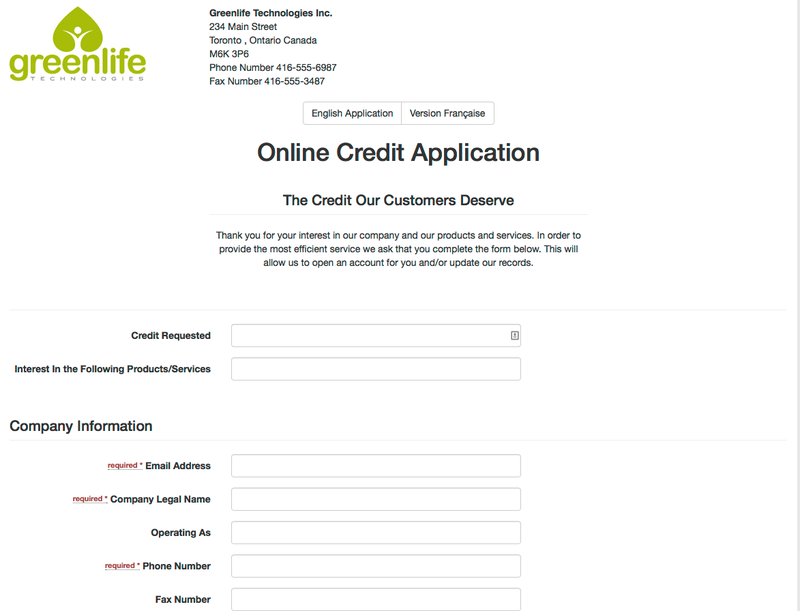 We will provide you with your own customized online credit application. This page is branded with your logo and company information. We provide you with what we have found to be the most effective set of questions to ask, but also allow you to customize these questions to suit the needs of your organization. You have a few options in terms of how to get your customers to fill out the application. You can provide them with a direct link on your website to the application or send them out an email containing the direct link. We have made the application link easy to remember so you are never guessing as to what it is. Not only will your customers be able to fill out your credit application on-line, we also provide you with the ability to electronically collect their signature. Upon submission of your credit application your customer will receive an email asking them to sign the application online. They will then be sent a copy of the application, including their signature to keep for their records. Each application has a comprehensive log of the applicants name, email address, IP address and a record of the day and time of all activity that occurred. The electronic signature is legally binding under the 2000 U.S. Electronic Signature in Global and National Commerce Act (ESIGN), Uniform Electronic Transactions Act (UETA) and European Directive (EC/1999/93). 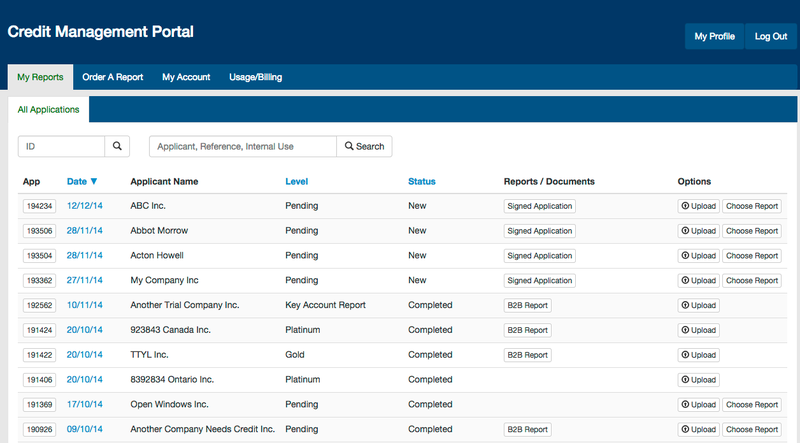 The credit portal is your single go-to place for credit information on any of the companies you are dealing with. 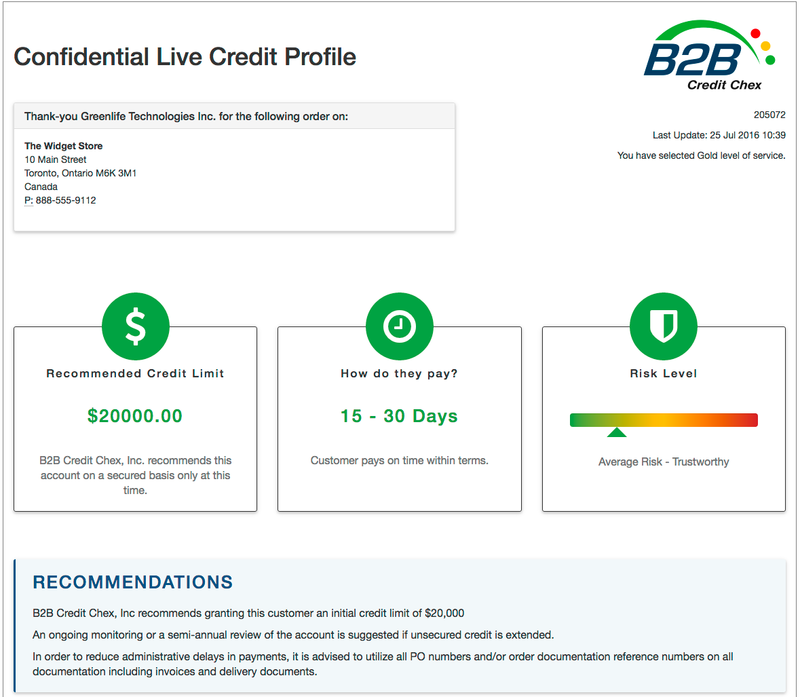 Whenever you order a report through B2B Credit Chex, we give you continuous access 24/7. 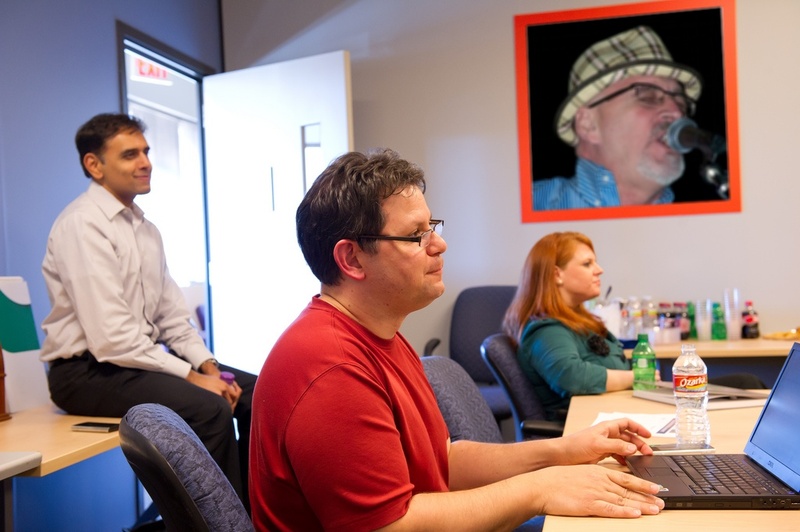 Don't worry about printing and storing your reports. They will always be available for your viewing. Want to try our service for FREE? 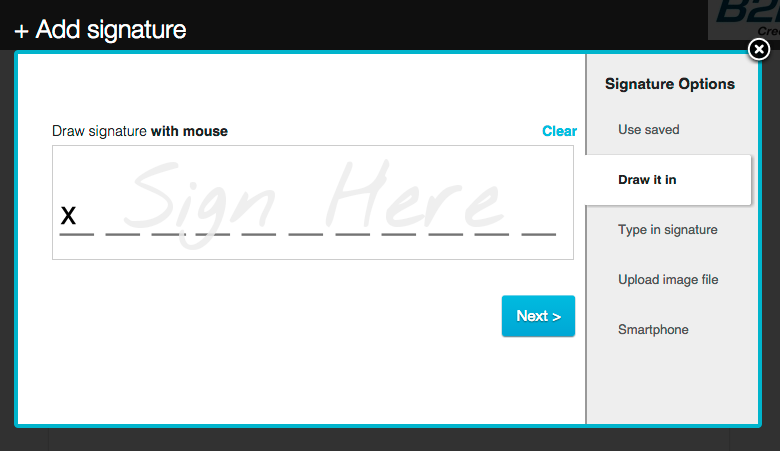 Just fill out the following form and we will email you with your username and password. 256 bit encryption, data backups, firewall protection keeps all of your transactions and information protected. 2018 © B2B Credit Chex Inc. ALL Rights Reserved.